He’s one of the most accomplished U.S. born hockey players in NHL history. 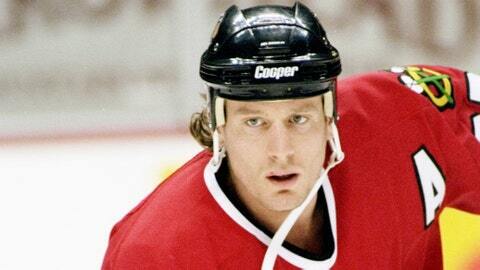 Over eighteen seasons, Jeremy Roenick was a nine-time All-Star, scored 513 career goals and was inducted into the U.S. Hockey Hall of Fame in 2010. 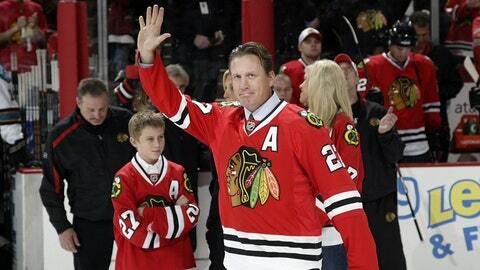 Roenick retired in 2009 and his now working as an analyst for NBC Sports. He is also working with Kraft Hockeyville as a spokesman in their efforts to re-vitalize youth hockey in communites that need it most. Roenick and Hockeyville are currently running a campain to work to rebuild ten deserving rinks in the United States, providing over $425,000 to the winning communities. To learn more and nominate a rink, go to krafthockeyville.com by March 18th. While Hockeyville is putting in great work to build up hockey rinks in need, what was the worst arena you ever played in? The old Pittsburgh Igloo was a terrible arena to go into. It was decrepit. It was old, with cockroaches all over the place. It would be far fetched to see a couple of rats running across your path as you were walking out of the building. So at the pro ranks, there was a reason that Pittsburgh needed that new arena to be built, because that old Igloo was just terrible. Looking back at your era, which city (and rink) had the toughest crowd to visit? It was Chicago — the old Chicago Stadium. The most raucous, loudest, most rambunctious arena I think, ever to be built. Too bad it’s not around anymore. You talk about walking up sixteen flights of steps of stairs to get to the ice level. The more steps you took, the louder it got. It was an intimidating place to play. Then when you played us, which was a big, bad bruising style of play. We beat you up pretty bad. It was a terrifying place to play. What makes Chicago such a great hockey town? I think they’re passionate hockey people. They’re passionate sports people. Chicago loves their sports. They’ve had some success — the Bears won the Super Bowl, the Blackhawks are the latest to win championships, and the Bulls had their run in the nineties with Jordan and Pippen. They’ve come to expect great play, and the Blackhawks are probably giving them the best out of any sport right now. OK. So, speaking of the greatness of Chicago sports fans, Vince Vaughn is a die-hard Chicago guy. We’ve seen proof in his movies. Did you know you were going to be referenced in that classic Swingers scene? I didn’t know, which was cool. Sega ’94 was probably my claim to fame. Growing up as kids, that’s what they played and I was the kingpin of Sega. So when Vince Vaughn was doing his movie, throwing in the video game stuff and being a Chicago guy, he threw my name out there. He was a big J.R. fan, and I’ve become a big Vince Vaughn fan. That Swingers scene became a thing in pop culture and it’s nice to be a part of that. Instead of video games, you lived and breathed hockey as a kid. Who were you watching in the NHL at that time? I grew up in Boston, so watching guys like Rick Middleton, Peter McNab and Brad Park, those were always guys that I loved watching. Rick Middleton was my favorite and I tried to emulate him. My dad was a big part of my life and career as my coach – and probably my biggest teacher. You know it’s important that the kids have someone to look up to and to teach them the dynamics of sports. To influx the capital into these programs to allow these kids to have that teaching and that mentor, and Kraft Hockeyville is doing that. They’re making sure that more kids have the opportunity to feel what it’s like to have a pair of skates on their feet. I couldn’t be more proud to be a part of that.